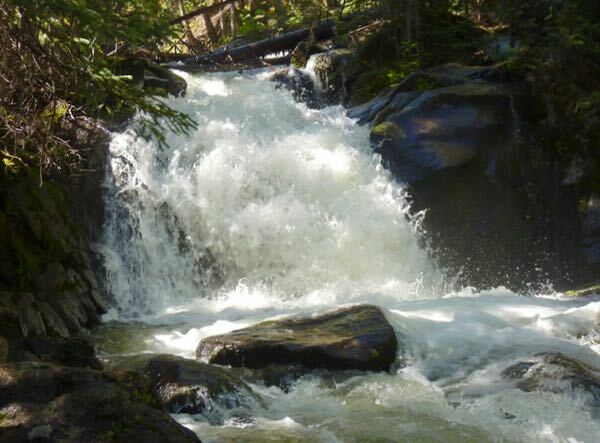 The reason for hiking up the trail in Cataract Gulch was to see them and get photographs of the cataracts AKA cascades. 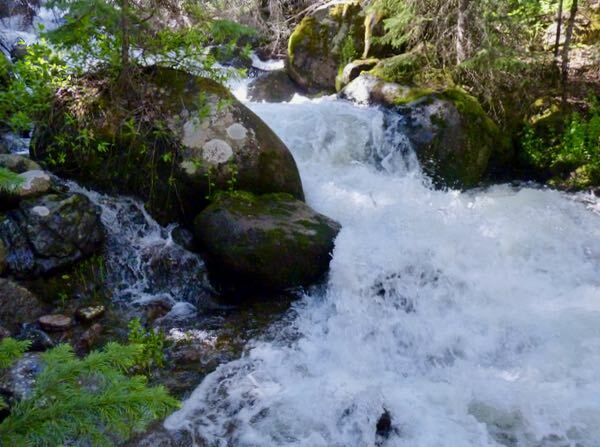 There was a sign pointing to a spur trail that lead to the upper part of the tumbling waters. The big drops were at that place. But, the excitement continued for a goodly distance downstream. 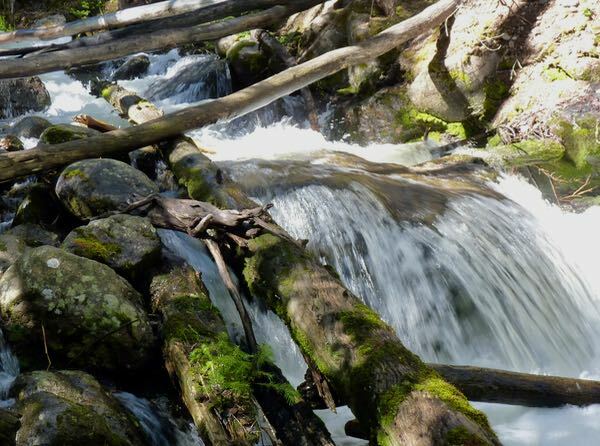 I followed the roaring water, pushing through undergrowth and climbing over boulders to get the shots. At some points it was too difficult; so, I had to return to the trail, go a bit further, and then back into the brush to reach the creek’s edge. It was well worth the effort. 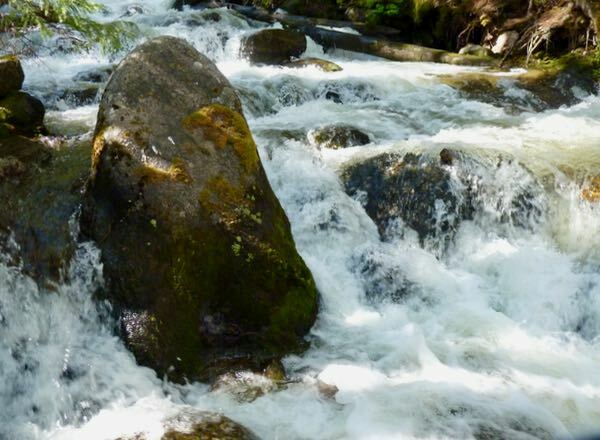 Raging over boulders, under logs, falling, dropping, surging and splashing the stream forged its path through the forest. This energetic scene was what motivated me to get more photos, despite the challenge. Oddly, I couldn’t find the name of the stream. 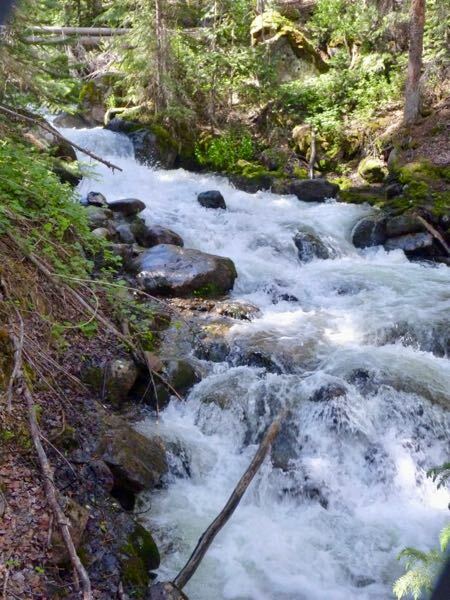 But, it emptied into Cottonwood Creek some distance above my camp. The cataracts was a really great find. WOW! Thanks for the great pictures. Glad you liked the pix Barney.